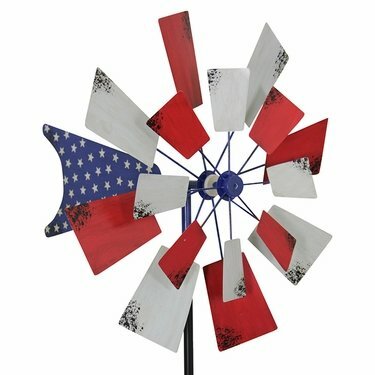 Spins in the wind for hours of fun! Hand painted and UV treated to resist the elements. Stands 85 inches tall with stake. 24 inch diameter spinner.